Landing your first MSL job can seem like a daunting task. Many candidates will search for months without having a single interview. How do candidates land that first MSL job if companies all require experience? ﻿In reality, companies are hiring MSLs at a record pace, including MSLs with NO INDUSTRY EXPERIENCE. All companies have comprehensive training programs for MSLs and will hire candidates with no experience (there are specific jobs that do require existing experience). Starting salaries for MSLs range from $125,000 to $145,000 on average. 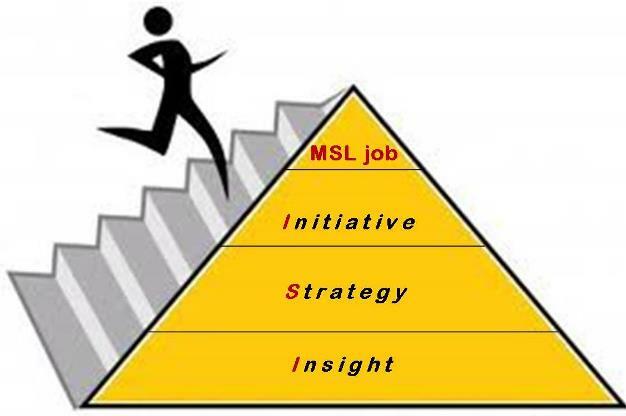 MSLs are hired every day that do not meet the criteria listed in job postings. Almost every aspiring MSL has been told "you must have 2 - 5 years of existing MSL experience" to be considered. In most cases, this conversation will take place with an internal HR representative or an independent recruiter. The truth is, nearly half of the positions posted will be filled by candidates with no existing MSL experience! Companies invest heavily in hiring, training, and developing MSLs. The training program for MSLs is comprehensive and will last from 30 days to six months. Changing your job search strategy is the first step in landing a MSL job. Submitting your resume on-line is the least effective job search method. Each resume is screened against specific criteria and for a candidate to be considered, they must meet 70% or more of the listed criteria. In order to avoid being screened out as a candidate before truly being considered, develop a job search strategy that will enable you to communicate your abilities to an actual hiring manager. Why is it important to send your resume to a hiring manager? Regional Directors, Directors, and Vice Presidents of Medical Affairs truly understand the MSL role, what is needed to excel in it, and the training process. Pro-actively contacting these high level decision makers ensures that your resume is reviewed by someone that understands your background as it relates to the MSL role. We offer Full Service Coaching and Strategy Consultations to guide you on contacting hiring managers directly. It is essential that you have a professional, industry relevant resume before implementing a pro-active job search strategy. Your job search strategy paid off and the interview process begins. Interviewing for MSL positions is a multi-step process that may span several weeks. There are usually a series of 3 to 5 interviews. Most companies utilize a behavioral based interview format, which focuses on understanding a candidate’s strategic thinking abilities, motivators, and integrity level. The STAR (Situation, Task, Action, Result) format should be used in answering behavioral questions. Interviews rarely involve questions about a candidate’s knowledge of day to day MSL duties. In the final interview a candidate will give a presentation to a group of decision makers at the company’s corporate office. The interviews can a combination of phone screens, skype meetings, face to face meetings, and potentially a field ride with a MSL. Every step in the process is equally important. Companies invest heavily in hiring the right candidates because they view MSLs as key team members that provide scientific and clinical support across multiple operational units. Learn more about the MSL hiring process at our blog: medsalescoach.com.